Strategic social listening provides insights and data to support campus-defined goals. If you're new to social listening in higher education—or even if you've done some conversation analysis—you'll find tips and information that you can immediately put to use. 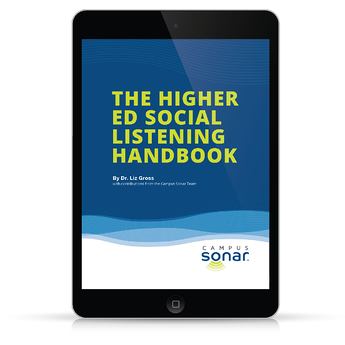 Hear what others have to say about The Higher Ed Social Listening Handbook.